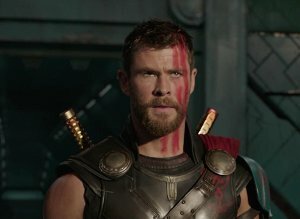 Thor is imprisoned on the other side of the universe without his mighty hammer and finds himself in a race against time to get back to Asgard to stop ’’Ragnarok,’’ the destruction of his home world and the end of Asgardian civilization, at the hands of an all-powerful new threat, the ruthless Hela. 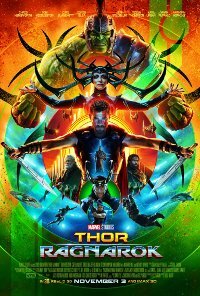 But first he must survive a deadly gladiatorial contest that pits him against his former ally and fellow Avenger, the Incredible Hulk. This film is releasing in 2D, 3D, 3D IMAX and 4DX. This is the 3D version. It’s the latest trend in male make-up. Language Infrequent, low to mild impact crude language. Violence Frequent, moderate impact, action-based violence.